Denny Jump (Bellevue, WA, United States) on 11 July 2015 in Plant & Nature and Portfolio. I should apologize for holding the previous piece on so long. I was away and very busy with work so, as John Lennon once sang "I Just Had to Let it Go." Thank you all for your VERY sweet and kind comments. I sincerely appreciate them. As I mentioned, work has kept me quite busy and, soon, our son and daughter-in-law and two adorable granddaughters will be flying back east to visit us - so things will get quite active. You can be sure that I will be sharing family "brag shots," but I will always try to intersperse them with nature shots as best I can. Finally, I truly want to thank all of you for your patience with me and understanding when I am unable to respond to your comments. Most of you who really know me know that conversing back and forth with others on AM3 is probably me favorite activity here. So thanks again. 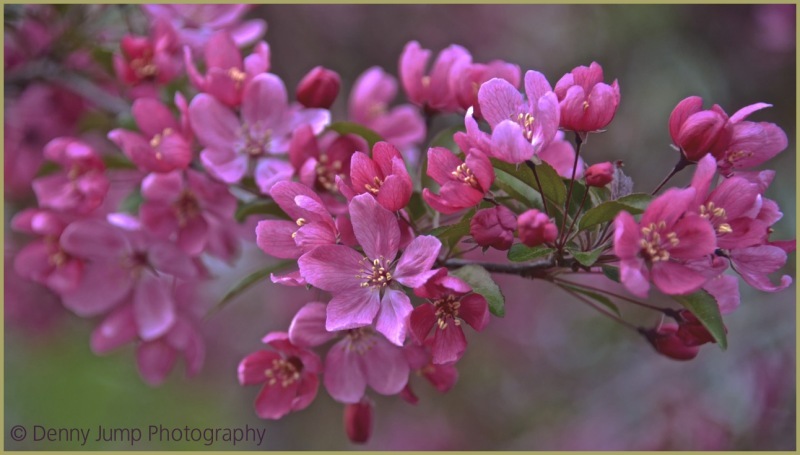 Wonderfully intense colors in these delicate blossoms. A beautiful shot, Denny. Beautiful blossoms Denny - love the colours and where you focused in this shot! This is a gorgeous image Denny! The colors are beautiful! Sounds like you are really busy. Such a gently powerful color here . .